Wind damage can hurt your roof in various ways, whether it happens on its own, or accompanied by rain and hail. 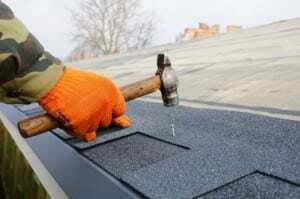 A storm can blow away shingles, making the building vulnerable to water infiltrations. Once it finds a way in, water begin it destructive action, rotting the deck and contributing to leaks and mold formation. Don`t think that if there are only a couple of shingles missing, you are still safe, because you are not. Broken and missing shingles must be replaced or nailed back immediately, preferably by a local Denver roofer, if you want to be protected. Hail is another destructive phenomenon that sometimes comes together with a storm. It may strip off the shingle granulation, break or deform shingles, destroy attic windows and also cause damage to the exterior siding of the house. Shingles that lost their granulation are not protected anymore, so they will age prematurely, mostly due to UV exposure. Wind can also damage a roof indirectly, buy putting branches and trees to the ground. In some cases, they may fall on the roof and break it. This is the reason why roof maintenance operations must include trimming the vegetation around your house. If a storm is accompanied by heavy rainfall, water might infiltrate even through a healthy roof, because it may fall in unusual angles and directions, due to the wind. However, such problems are typically just temporary.